Your mobile PCs with Windows or Mac can easily connect to SoftEther VPN anywhere and anytime, despite firewalls or packet filters on Wi-Fi or overseas ISP. Windows RT is also supported. As described on Remote Access VPN for PCs, your Windows and Mac PCs can be connect to the SoftEther VPN Server. 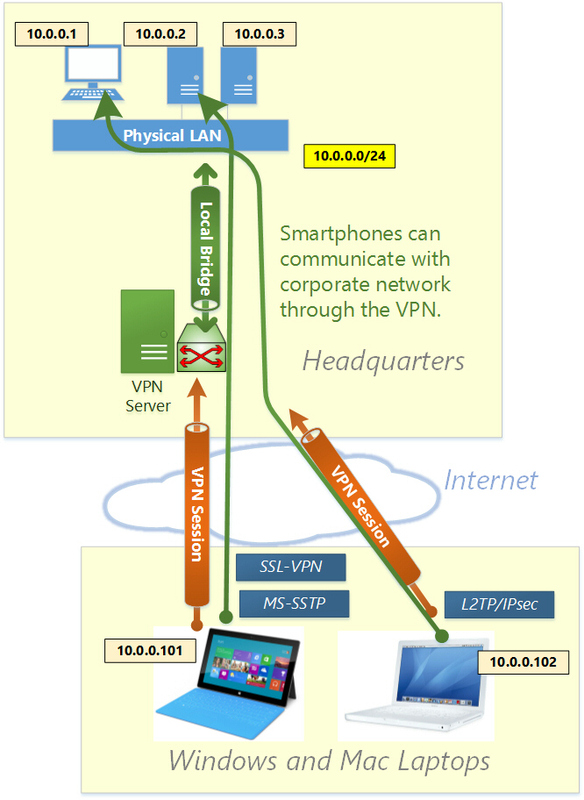 Additionally, Windows RT (ARM-based Windows) tables and Windows Phones can connect to SoftEther VPN Server seamlessly. The corporate can provide easy and secure access to the business network to every employees. Refer to the steps for Remote Access VPNs. 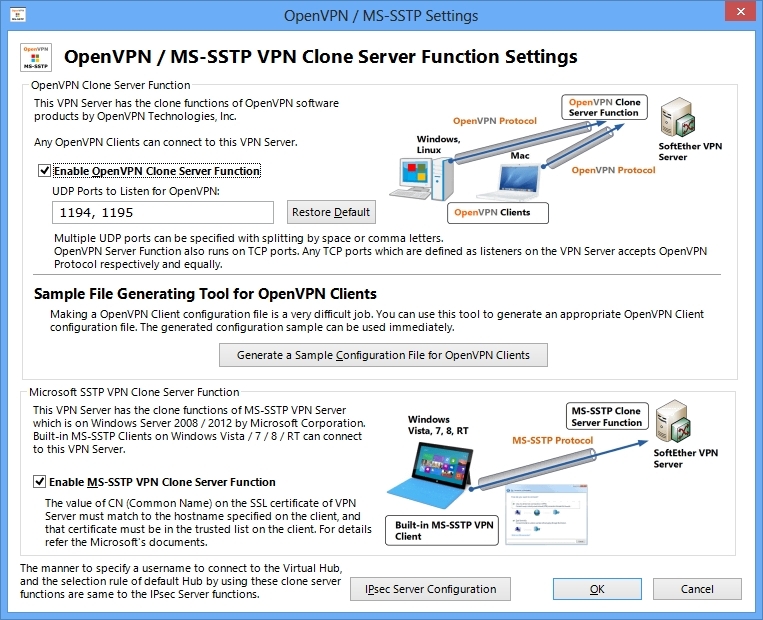 If you are using Windows Vista, 7, 8 or RT as client PCs, you can enjoy Microsoft SSTP-VPN protocol, as an alternative of SoftEther VPN Client's SSL-VPN protocol. SSTP is the HTTPS-based VPN protocol which Microsoft is suggesting. Windows client PCs has a built-in SSTP VPN Clients. If you enable SSTP VPN function on SoftEther VPN Server, no longer to need to install SoftEther VPN Client on each PCs.